Kitchen closes 1-hour prior to closing. Bar & Patio Open Until Midnight on Friday & Saturday. 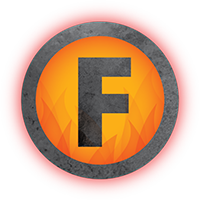 Download our FIREPIT MAIN MENU for the full menu. The Firepit Wood Fired Grill was founded with the idea of being a local 'Meeting and Greeting' establishment. See our Monthly Calendar! Check out our gallery where you can see photos of our restaurant, bar, and selections from our menu! © 2019 Firepit Wood Fired Grill. All rights reserved.